The Congolese people and all human rights activists throughout the world are deeply moved by Presidential Order No. 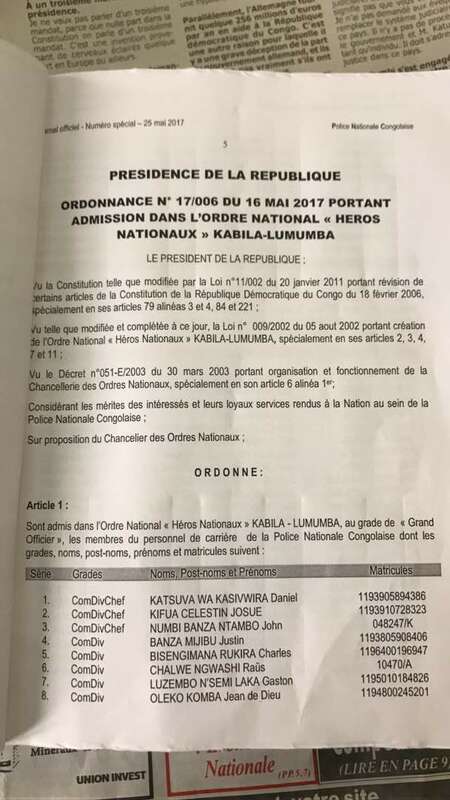 17/006 of May 16, 2017 signed by Mr. Joseph Kabila, admitting to the national order ” National heroes ” Lumumba-Kabila of some eight personalities who supported the regime in place, because of the presence on the list of a criminal whom all humanity impatiently waited to be arrested and tried. This criminal is called NUMBI BANZA NTAMBO John, the murderer of Mr. Floribert Chebeya Bahizire and his driver Baraza in Kinshasa on 02 June 2010. Chebeya is the founder of the human rights NGO called “The Voice of the Voiceless”. 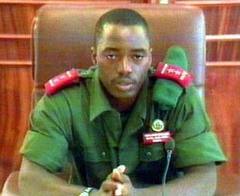 He was found dead in his car in June 2010, the day after an invitation from General John Numbi, then Inspector General of the Kinshasa City Police, who summoned him to his office. As for his driver, he was missing until those days. 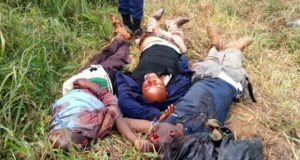 The Kinshasa government has done its best to stifle the judicial efforts that all opinions have tirelessly demanded in order to establish the truth about this death. The authorities have dismissed all the investigations that could be carried out in connection with the case of this double assassination in which the hands of the power in place, and even of the head of the State itself, were only more than visible. Indeed, policeman Paul Mwilambwe, eyewitness to the horrific crime, who very clearly describes the scene of this assassination, makes it quite clear how many John Numbi and President Joseph Kabila are indebted to the death of these two innocent people, so that the elevation of John Numbi to the rank of “national hero” appears today not only as an insult to the memory of these illustrious victims, but also as a “spit” on the dignity of the Congolese citizen who is considered a waste by the one Called “President of the Republic”. Paul Mwilambwe, you were in charge of security at the General Inspectorate of Police on 1 June 2010, the day that Floribert Chebeya was killed. You were in the office that day. What did you see ? How long did he stay in your office? After 7 pm and a few minutes, Major Christian came to recover Chebeya in my office. First of all, he apologized to Chebeya, saying, “The chief apologizes, he must not receive you here at the office. He prefers to receive you at his private residence. ” But on leaving, from the front desk, Chebeya was hooded, at the front desk. Under my desk there is a surveillance camera and this camera picks up from my desk up to 50, 100 meters. So when we made the move to take Chebeya abruptly, the camera rang. Looking at this camera, I see Major Christian and some elements of the police hood Chebeya with the Viva bags (note: plastic bags of the brand Viva). And we started to tape them. And that’s what made me leave my office and go down and see what happens. That’s when you joined them at the reception? “The president of the republic gave the order …”, said the witness. I did not find Chebeya at the front desk. He was taken directly to the hangar. I called Major Christian. I asked him the question. He said, “Sir, close your mouth. It’s an order from the hierarchy. ” I asked him the second question again: “Who gave you this order? “. He told me, “This is the President of the Republic” for the first time. I asked him, “Who received the order of the President of the Republic? By phone or by what precisely? “. He said, “No, I received the order from the President of the Republic through General Numbi.” It was General Numbi who ordered Major Christian. And when he gave this order, he told Major Christian that this order came from the President of the Republic. It’s Major Christian who tells me. First of all, the order came: anyone who would accompany Chebeya, be it his son, be his colleague, be his wife, must suffer the same fate as Chebeya. And he said, “See in the car. His driver, he’s already been executed. ” I looked at the car and saw a lifeless body. And when I talk to Major Christian, the police are continuing to stifle Chebeya. What was your reaction ? I am an officer without troops, Major Christian, the officer with troops. So I went back to my office because I knew that the cameras were recording. I had to report to the hierarchy. You see an assassination taking place before your eyes. Why did you not try to save the person? No, at that time what should I do? My problem is to report to the chief. I’m the security commander. I see events. Major Christian has well-armed policemen. At that time, I did not have to do otherwise. I had to report to General Numbi. After this operation, it was already 20 hours. I left the office from 8 pm and a few minutes. And I arrived home at 8 pm and a few minutes. So it was two days after the assassination that Christian Ngoy confided in you? Before the excavations, he called me to his room because we lived in the same houses. I found him crying. He said, “It hurts me because I’ve just had other orders with General Numbi: ‘Before the excavations, you have to execute your friend. '” I asked him, “Did the general tell you the motive for the assassination to execute Chebeya?” “. He said, “No. Chebeya was an embarrassing witness. ” He told me for two things: the Bundu Dia Kongo massacre; and secondly, Mr. Chebeya had investigated the massacres of Ecuador. The people who did this operation were the elements of the Simba battalion led by Major Christian. These battalions received orders directly from General Numbi. Ten days after the murder, you are kidnapped. When I was arrested, I was hooded and taken to an unknown destination. When we arrived at their destination, I was made to open the hood. And I found myself in the private residence of an adviser to General Numbi: “You want to betray General Numbi.” This is the 11th to the 13th, on a certain Sunday. After a few minutes, at 2pm, we were brought to eat. I watched the police movements and I went out, climbed the wall. I left. You stay nine months hidden in Kinshasa, then you decide to go to justice. But there you are again arrested and taken to Lubumbashi. You still manage to escape and this time to leave the country. You were sentenced to death in absentia for murder, conspiracy of malefactors. Why testify today? They condemned me illegally. I was in court. Justice was to deliver me. 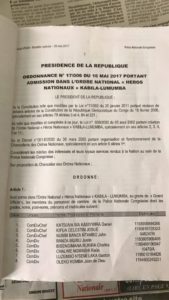 But justice has preferred to make me disappear because I am an embarrassing witness in the Chebeya case, that is to say, I am an embarrassing witness for the Kinshasa government and for the president of the republic, and same for General Numbi. At this time, there is no way to return to the country. The Democratic Republic of Congo can develop and go to elections without the Kivu – Genocide of the Nande People. Lubero est le territoire rural le plus peuplé de la R.D.Congo, ayant le village le plus haut du pays, soit Kipese situé à 2500 m d’altitude. * Le Mont Rwenzori 5 110 m d’altitude, le troisième sommet d’Afrique après le Mont Kilimandjaro (5895 m) et le Mont Kenya (5 199 m). Le Mont Rwenzori a à son plus haut sommet un glacier éternel. Le territoire de Beni est le seul endroit au Congo où il neige chaque jour depuis toujours! Le premier européen à voir cette beauté naturelle fut Henri Stanley Morton en 1889. * Le Parc National des Virunga, avec sa faune et sa flaure très diversifiées. * La rivière Semliki, très poissonneux, irrigue le Parc National des Virunga, se jette dans le fleuve Nil, et constitue une des nombreuses sources du Fleuve Nil, question longtemps debattue par les explorateurs de lAfrique. * Archéologie: L’homme d’Ishango est un des plus anciens fossils de l’humanité. Ishango c’est un petit site situé aux abords du Lac Edouard et de la Rivière Semliki. L’Os d’Ishango classé au Musée de Sciences Naturelles de Bruxelles (Belgique) est parmi les plus anciens du Monde et daterait de 20. 000 Av.J.C. d’autres le date 9000 Av.J.c. et d’autres 6500 Av.J.C. Pour savoir plus à propos du bâton d’Ishango: http://www.ishango.be/fr2005/historique-histoire. Beni-Lubero sont deux territories qui donnent sur le Lac Edouard. 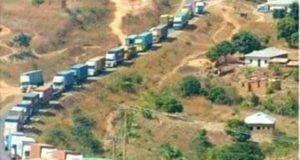 Butembo c’est la plus grande ville du Nord-Kivu, Capitale économique du Nord-Kivu! Beni c’est la ville du café, du bois, et de la Papaye!